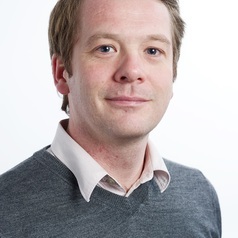 Philip joined the Salford Housing & Urban Studies Unit as a research fellow in April 2005. Prior to joining the Unit Philip worked as a residential social worker with Leeds City Council working on the asylum seeker and refugee resettlement projects, a freelance research consultant and a lecturer in psychology for the University of Huddersfield. Philip is now Director of the Sustainable Housing & Urban Studies Unit (SHUSU) at the University of Salford. Philip has interests in the broad fields of social exclusion and belonging. Specific research interests include: housing; identity, migration; nomadism; and life history research. Philip has expertise in both quantitative and qualitative research methods. He has worked on studies for housing associations, local government, central government, regional assemblies and various other agencies. More recently he has led and delivered a wide range of Gypsy and Traveller projects which aim to identify and assess the accommodation and wider service needs for Gypsies and Travellers. He has also recently been involved in projects aiming to identify the various service needs and experiences of older people, particularly from minority ethnic groups. Brown, P. A. (2005) Narratives of service provision: A dialogical perspective on the ‘support’ of asylum seekers. In N. Kelly, C. Horrocks, K. Milnes, B. Roberts and D. Robinson. (Eds) Narrative, Memory and Everyday Life. Huddersfield. University of Huddersfield. Brown, P. and Scullion, L. (2009) ‘"Doing research" with Gypsy-Travellers in England: reflections on experience and practice’, Community Development Journal, Advance access 17 March 2009. Jordan, B. and Brown P. (2007) ‘Migration and Work in the United Kingdom: Mobility and the Social Order’, Mobilities 2 (2), pp. 255-276. Jordan, B. and Brown, P. (2006) ‘The Sangatte Work-Visa Holders: A ‘Natural Experiment’ in Immigration Policy’. Parliamentary Affairs 59 (3), pp. 509-521. Brown, P and Scullion, L. (2009) Oldham and Rochdale New Build Research: The impact of consultation activity and shared space. Salford: The University of Salford. Brown, P., Scullion, L, Whittle, N., Morris, G., Condie, J. and Bashir, N. (2009) Oldham and Rochdale New Build Research: Resident Research. Salford: The University of Salford. Brown, P and Scullion, L. (2009) Oldham and Rochdale New Build Research: Overview Report. Salford: The University of Salford. Brown, P. (2009) Survey of Gypsies and Travellers on site needs in the Barton-upon-Humber area. Salford: The University of Salford. Brown, P., Hunt, L., Condie, J. and Niner, P (2009) Tees Valley Gypsy and Traveller Accommodation Assessment. Salford: The University of Salford. Brown, P., Hunt, L., Condie, J. and Niner, P (2009) Tyne and Wear Gypsy, Traveller and Travelling Showpeople Accommodation Assessment. Salford: The University of Salford. Brown, P. and Niner, P. (2009) Overview of Gypsy & Traveller Accommodation Assessments – Yorkshire & The Humber Region. Salford: The University of Salford. Brown, P. and Niner, P. (2009) Assessing local housing authorities’ progress in meeting the accommodation needs of Gypsy and Traveller communities in England, Research report: 13, London, Equalities and Human Rights Commission. Brown, P., Hunt, L. and Condie, J. (2008) Merseyside Gypsy and Traveller Accommodation Assessment. Salford: The University of Salford. Brown, P., Hunt, L. and Condie, J. (2008) Cumbria Gypsy and Traveller Accommodation Assessment. Salford: The University of Salford. Brown, P., Hunt, L., Condie, J. and Niner, P (2008) North Housing Market Gypsy and Traveller Accommodation Assessment. Salford: The University of Salford. Brown, P., Hunt, L., Condie, J. and Niner, P (2008) Southern Staffordshire and Northern Warwickshire Gypsy and Traveller Accommodation Assessment. Salford: The University of Salford. Hunt, L., Brown, P. and Condie, J. (2008) Appleby Horse Fair Assessment. Salford: The University of Salford. Powell, R., Casey, R., Reeve, K., Brown, P., Hunt, L., Condie, J. and Niner, P. (2008) West Yorkshire Gypsy and Traveller Accommodation Assessment. Sheffield: Sheffield Hallam University. Brown, P., Hunt, L., Condie, J., Powell, R. and Reeve, K (2008) North and North East Lincolnshire Gypsy and Traveller Accommodation Assessment. Salford: The University of Salford. Niner, P., Brown, P., Hunt, L. (2008) Provision of Caravan Sites for Gypsies and Travellers in the South West of England. South West Regional Assembly. Brown, P. and Hunt, L. (2008) Ribble Valley Gypsy and Traveller Accommodation Needs Assessment. Salford: The University of Salford. Brown, P., Hunt, L., Steele, A. and Niner, P. (2007) North West Regional Gypsy and Traveller Accommodation and Related Services Assessment. The North West Regional Assembly. Brown, P., Hunt, L., Steele, A. and Niner, P. (2007) Lancashire sub-regional Gypsy and Traveller Accommodation and Related Services Assessment. The North West Regional Assembly. Brown, P., Hunt, L., Steele, A. and Niner, P. (2007) Cheshire Partnership Gypsy and Traveller Accommodation and Related Services Assessment. The North West Regional Assembly. Brown, P., Hunt, L. and Steele, A. (2007) Cross-boundary Gypsy and Traveller Accommodation Assessment. Mid Suffolk District Council. Niner, P., Brown, P., Hunt, L., Powell, R. and Reeve, K. (2007) Preparing Regional Spatial Strategy Reviews on Gypsies and Travellers by regional planning bodies. Wetherby, CLG. Ahmed, A., Brown, P. and Steele, A. (2006) Looking Back, Moving Forward: Assessing the Housing Needs of Gypsies and Travellers in Essex. Salford: The University of Salford. Brown, P., Pugh, S., Ryan, J. and Steele, A. (2006) Audit Tool for Housing and related services for Older Minority Ethnic People (AT HOME). Housing and Older Peoples Development Group. Brown, P., Steele, A. and Pugh, S. (2006) The Experiences and Usage of Services in Housing, Social Care and Health of Black and Minority Ethnic (BME) Elders in Wales. The National Assembly for Wales. Pugh, S., Steele, A. and Brown, P. (2006) The provision in Wales of housing-related goods, services and advice to older people in their homes. The National Assembly for Wales. Brown, P. (2008) Embedding diversity in equality strategies. Housing News: Newsletter of the North West branch of the Chartered Institute of Housing, January. Brown, P. (2006) Not just travelling through. Comment. Inside Housing, 17th March, p. 14. Brown, P., Ahmed, A. and Steele, A. (2005) Without Prejudice. Inside Housing, 4th November, pp. 23-24.